In 1694, William and Mary are still in power, and the publisher has reused the same engraving for the eighteenth edition of the Chamberlaynes' Present State. 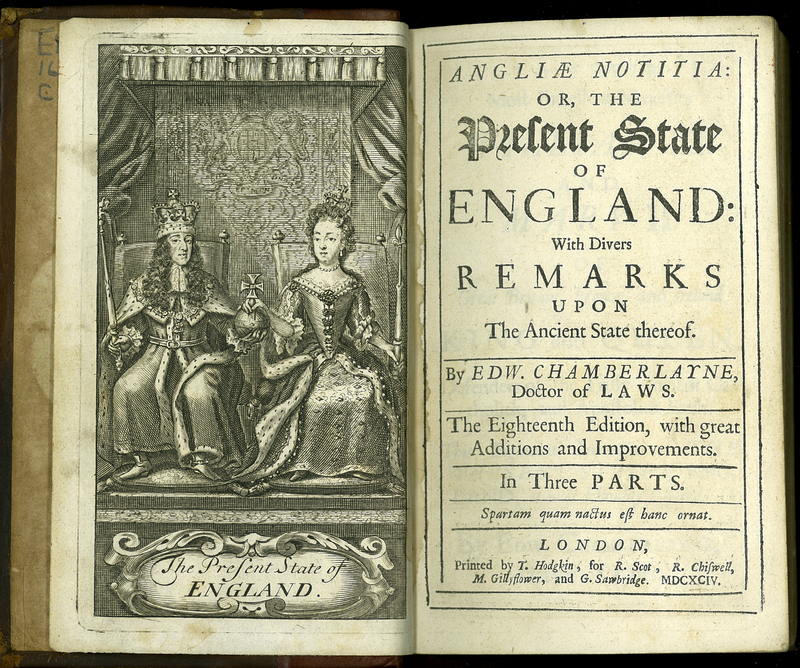 Edward and John Chamberlayne, “Angliae Notitiae: or, the Present State of England. Eighteenth Edition,” ourheritage.ac.nz | OUR Heritage, accessed April 20, 2019, http://ourheritage.ac.nz/items/show/10683.